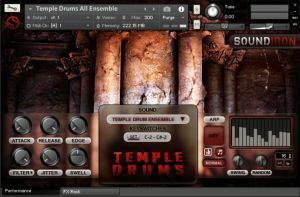 Soundiron has released Temple Drums, a multi-sampled hall percussion library recorded in a secret stone-walled underground chamber. Soundiron recorded a variety of solo drum and bell articulations from a close, wide mic position to capture a crisp, tight, bright and lush sound. The library includes bass drum, large floor tom, rack toms, bongos, snare drums, djembe, doumbeks, frame drum/bodhran, large Tibetan hand cymbals, Tibetan copper bell and 36" flat gong. 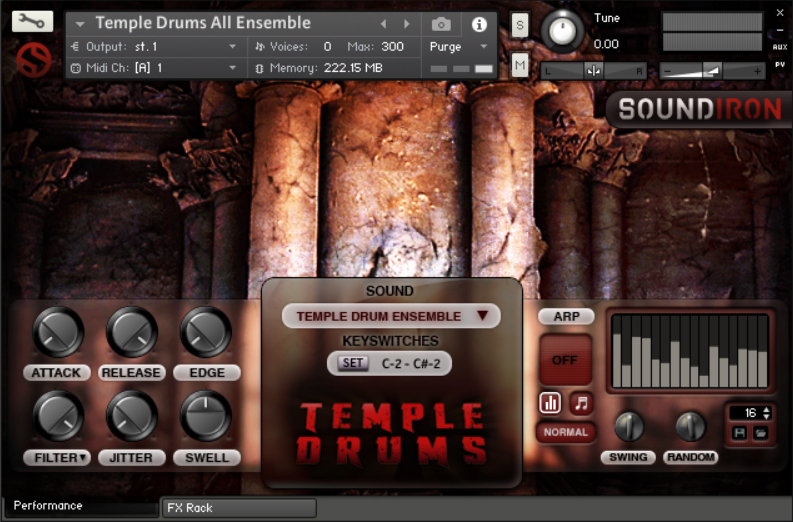 6 Kontakt 5.5 .nki preset banks. Bonus Pads, Soundscapes and Atmospheres. Convolution reverb with a variety of different room, hall and special effect acoustic environments. Price: On sale for $35 until August 24th.